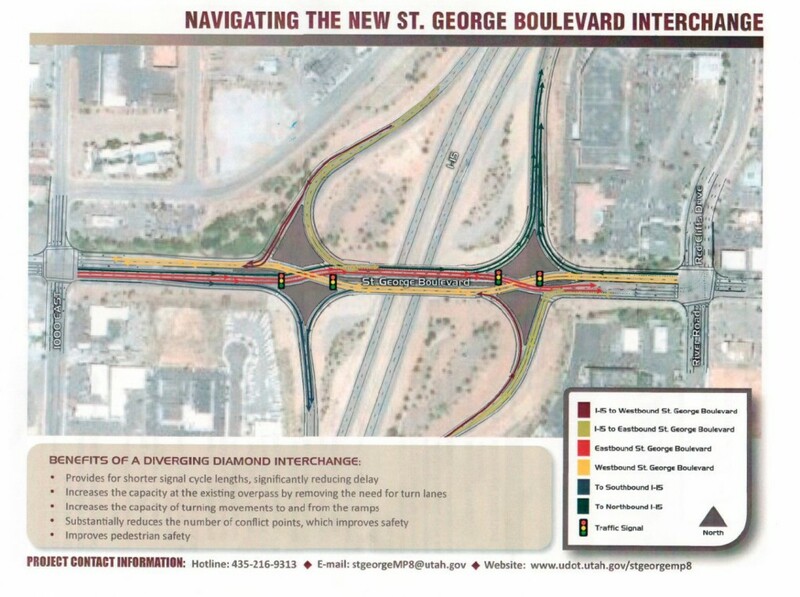 ST. GEORGE – Driving through the St. George Boulevard-Exit 8 Interchange looked a bit different Tuesday morning as the interchange – closed over the weekend – made the switch from a traditional diamond interchange to a diverging diamond interchange. The DDI, as state transportation officials like to call it, is designed to promote smooth transitions onto and off the interstate and relieve traffic congestion. “This has been one of the most congested areas of the city,” St. George Mayor Dan McArthur said. 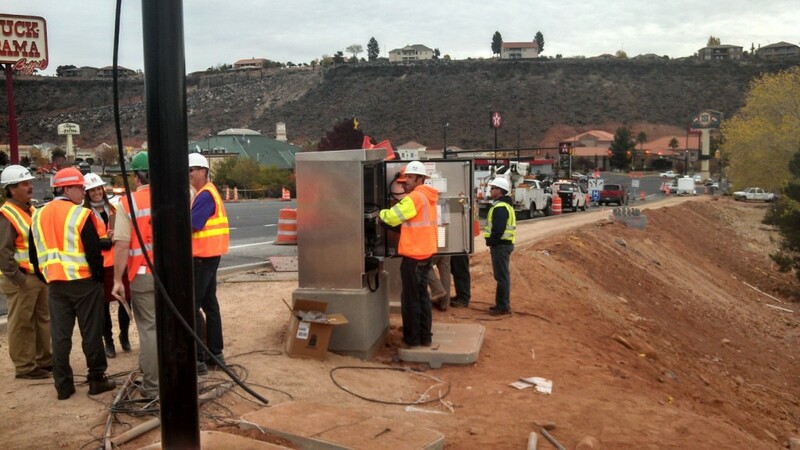 Finished a week ahead of schedule, officials from the City of St. George and Utah Department of Transportation are pleased with the results and believe the new interchange will benefit the area. 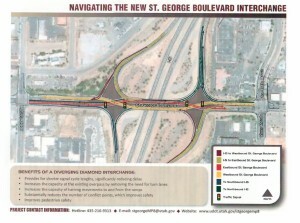 The new St. George Boulevard-Exit 8 Interchange is the first DDI in Southern Utah and the fifth in the state. It was also a relatively “painless project” due to how smoothly everything came together, Kevin Kitchen, a UDOT representative said. “This is really a great example of how an alternative process can work,” Kitchen said. The “alternative process” Kitchen referred to is the design-build route UDOT chose to take with the $16 million project. A design-build process allows a bidding contractor to propose its own designs for a project. According to UDOT, this process helps cut down on project delivery time and the overall costs, as one company is handling the majority of the work involved. Kim Manwill, UDOT’s project manager overseeing the interchange’s reconfiguration, said the majority of the project not only finished ahead of schedule, but that it also allowed UDOT to “tap into the innovation” of the private sector. 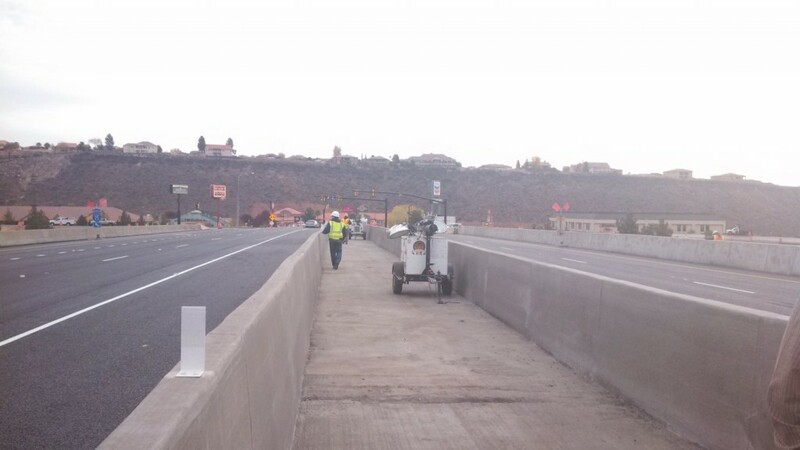 The design-build team chosen by UDOT was Wadsworth Brothers Construction and Wilson & Company. A prime focus of the project was a plan to keep traffic flow through the interchange as smooth as possible as the configuration took place. Manwill said this was accomplished by having the bulk of the work and closures done at night. Construction was also done in stages. The staging only closed off parts of the interchange at a time instead of the whole, allowing traffic to continue through unfettered. Initially there were concerns from area business owners that the interchange construction may negatively impact them, but that didn’t happen, Sandi Lampshire, the project’s public involvement coordinator said. To help area businesses stay in the loop in regards to the project, UDOT sent out weekly emails on the project’s status and established a hotline and an email for any questions business owners might have had. They also met face-to-face as needed. 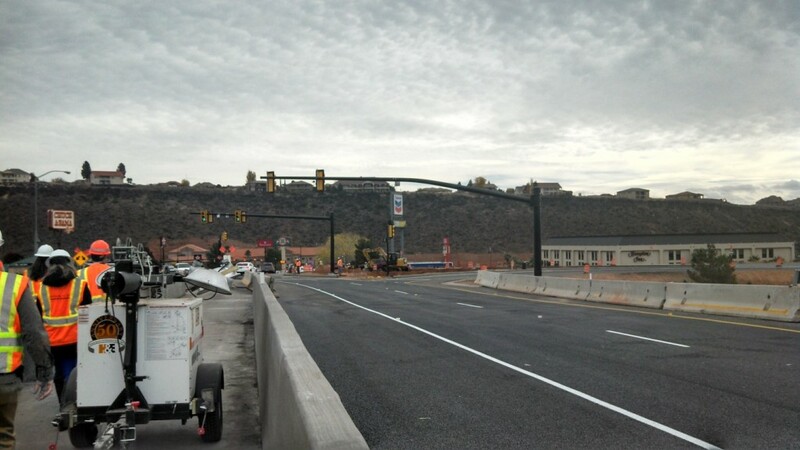 A great deal of communication and coordination has been done between UDOT and the City of St. George concerning St. George Boulevard-Exit 8’s reconfiguration. This is nothing new for the two entities, as relationships have been built through past projects like the Dixie Drive Interchange. 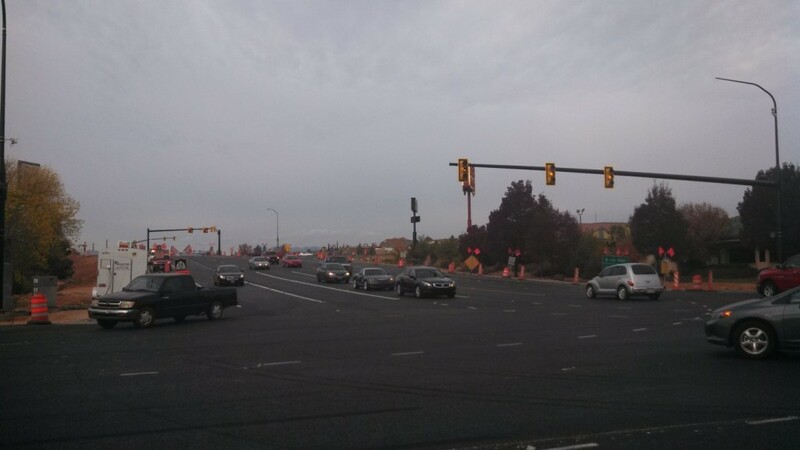 Some suggestions made by city officials on what they wanted to see included in the new interchange were taken by UDOT and made a part of the overall project requirements, like a pedestrian walkway. Until the construction of the DDI at Exit 8, a person couldn’t safely cross on foot from St. George Boulevard to River Road. That has changed. Now pedestrians can safely traverse the interchange. 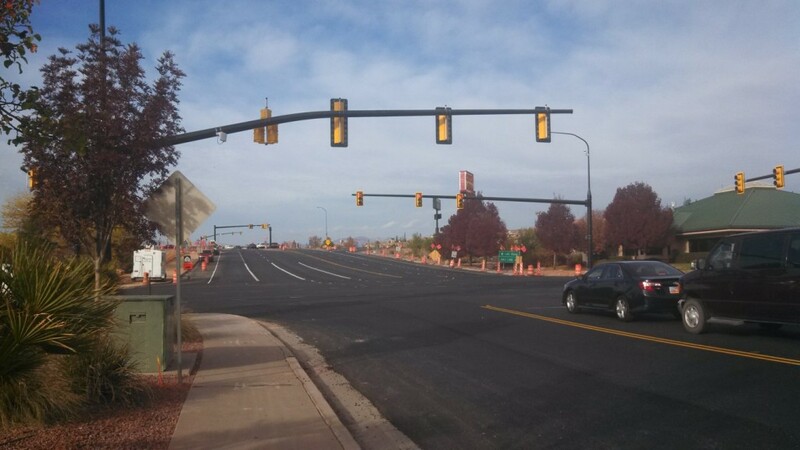 The City of St. George also provided funding to the project for improvements to 1000 East, where UDOT has added a double-left turning lane to help with traffic flow. Other funding has been provided by the city for aesthetics and landscaping. “Our relationship with UDOT is tremendous,” McArthur said, and added that having that relationship helped make other projects move forward. UDOT calls that kind of relationship “trust and transportation,” Kitchen said. The next big project UDOT and St. George will engage in will be the Red Hills Parkway interchange, Kitchen said. With the primary portion of the new interchange complete, Kitchen said some work will continue until Dec. 19. Striping on the roads, overhead lighting and crossing lights are some of the items yet to be completed. Until then, anyone who walks through the new interchange will be going through a construction zone, Kitchen said. In addition to the new pedestrian walkway and double-left turn on 1000 East, the exiting bridge on which the DDI is built was expanded. New drainage infrastructure has been added as well, as have new signals, lighting, and camera systems. Since the configuration of the interchange has changes, drivers are advised to be patient and allow themselves to get used to the new way the intersection works. “It takes a minimum of two weeks for people to adjust,” Kitchen said. Oooooh nooo something new and scary! They have these in northern Utah and they work well. They just aren’t that confusing. Perhaps you should give it a try before declaring it to be stupid and wasteful. Truly amazing. After all the whining and fear-mongering on the FB page linking to this story, there are NO such things here? This must be a first. These are used in other parts of the state and have worked well. Red means stop, hope that is not too difficult. Ok, I have driven off the freeway onto the DDI several times since its opening, The only possible glitch will be when traffic backs up at the light smack dab in the middle of the bridge. We’ll just have to wait and see what happens on Friday at rush hour. Good luck to all drivers….and may the best driver win. And if you’re up against doubletap in this intersection — let him win. He’s packing and he don’t just fire once. Pew pew. I suspect that the lights are timed to “prevent” traffic from backing up in the middle. So as long as there isn’t a power failure….. Just watch out for the tourists next summer going through for the first time (not to mention ME on Fri!) I still encounter cars with Calif plates trying to go the wrong way through the Bloomington roundabout..